RUSKO delivers 22,000 shipments every year to various countries of the world! Weekends – not working day. Cargo transportation by own transport in Europe (Poland, Lithuania, Latvia, Estonia) and CIS countries (Belarus, Kaliningrad region). 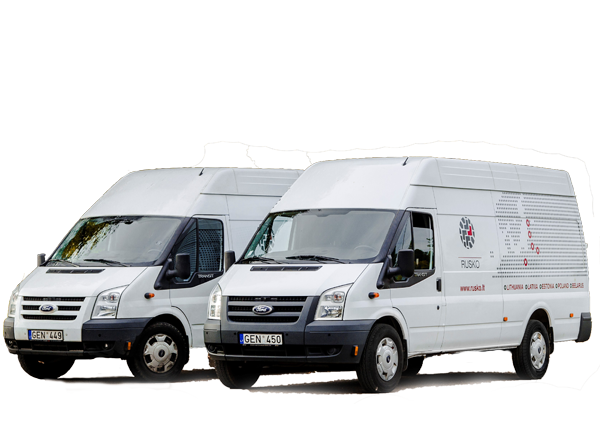 Courier, parcels and parcels in Lithuania and throughout Europe. Delivery in Lithuania on the same day. Shipment abroad – within 1-2 business days. Express delivery throughout the world. Especially urgent delivery according to customer needs. International cargo transportation by air. Door-to-door cargo delivery worldwide. We carry out loading and unloading works. We store various cargo. UAB “RUSKO” is a company which has already been successfully working in an area of transport and shipment delivery for 20 years. The company was founded in the year 1994 by the name of “Baltijos Rusko” and has been delivering the shipments by its own transport in the European and CIS countries ever since. In the year 2012, the company changed its name and branding to “RUSKO”. The company employs professional managers, expeditors, and drivers – more than 50 employees in total. Please contact us and we will gladly answers all of your questions. 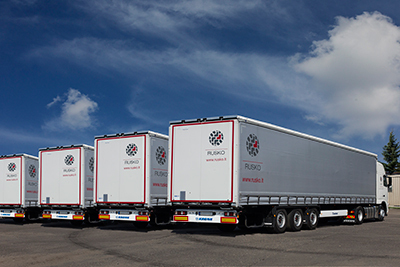 RUSKO can offer some of the best prices in the transportation market. The company tailors the transportation services to the individual needs, and is leading in shipment pick-up and delivery expeditions. You can order the services by phone, email or by using the internet order form. We are glad that in the year 2013 the transport park received new covered semitrailers KRONE SDP27 Profi Liner, the shipments are delivered by VOLVO FH, VOLVO FM tows, VOLVO FL trucks and FORD Transit microbuses which are no older than five years. Our drivers have ADR licences which permit to transport dangerous shipments. If there is a need, we work EVERY day, including weekends and bank holidays. RUSKO is a company that offers its employees good remuneration, conditions for improvement and all social guarantees. Most of the attention is set on initiative and will to improve! Please send your letters with CVs to personalas@rusko.lt and do not forget to indicate in the subject of a letter which job ad interests you. We will only contact selected candidates.